Owners Richard and Fiona Trevor took over the hotel in 2016. Under their stewardship the hotel has been fully accredited by Visit Scotland as a 3-Star Hotel and a member of the Welcome Schemes for Classic Cars, Cyclists, Walkers, Field Sports and Pets. Among other publications Eddrachilles Hotel is included in The Good Hotel Guide 2018 and Stevenson's Guide to Good Hotels and Food in Scotland. 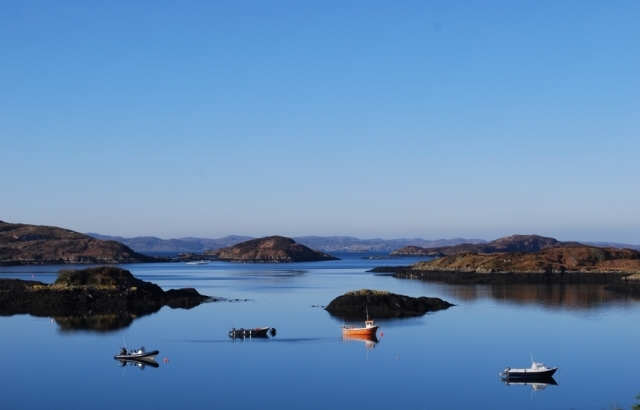 The hotel is also an affiliate of Sail Scotland The hotel holds a Visit Scotland Taste our Best award for 2018-19 and the i-Knowaccreditation - we're very happy to help you plan your time in NW Sutherland. Our 2018 season runs from 30 March to 19 November. Owners Richard and Fiona Trevor and their team look forward to welcoming you to Sutherland.